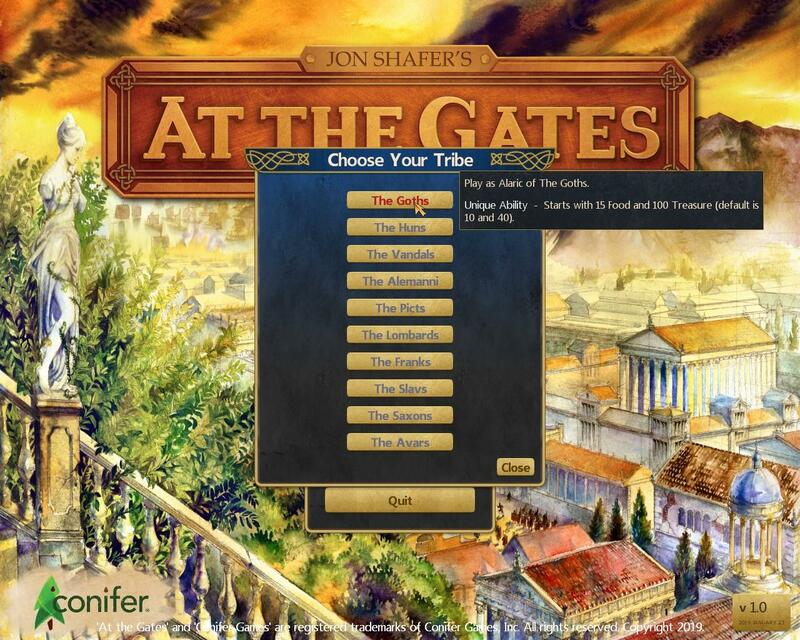 Playable Tribes in Jon Shafer's At the Gates. To unlock a new Faction you must either from an Alliance with its leader or conquer its capital while paying as a different Faction. The Huns	(Attila): Can Train Horse Archers, and starts the game with one. Cannot own Structures. The Vandals	(Genseric): Receives gifts of Food or treasure from Rome every coule years. Locked in a permanent Alliance with all Roman Factions. The Alemanni	(Krokus): All Clans will have at least one positive Trait and nofuly negative traits. -50% Fame. 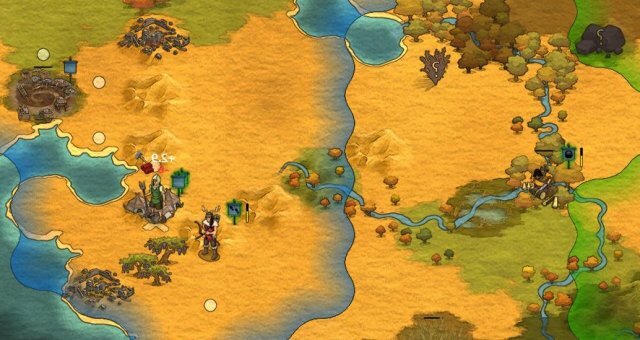 The Lombards	(Alboin): Starts the game with all Resource Deposits Identified. Unable to train any Clans in Foraging Profssions. The Franks	(Clovis): +1 Mood bonus for all Clans. Permanently at war with all Factions which don’t foow the ‘Nicene Christianity’ Religion. The Slavs	(Samo): Units no longer require Supply exept when inside another Faction’s Borders. The Saxons	(Cerdic): Starts the game next to the ocean with a free galley. Bonuses provided by Deserted locations doubled. The Avars	(Bayan): +1 Move Point for all Units. Can Train Horse Archers. All Units require 1 additional Supply.